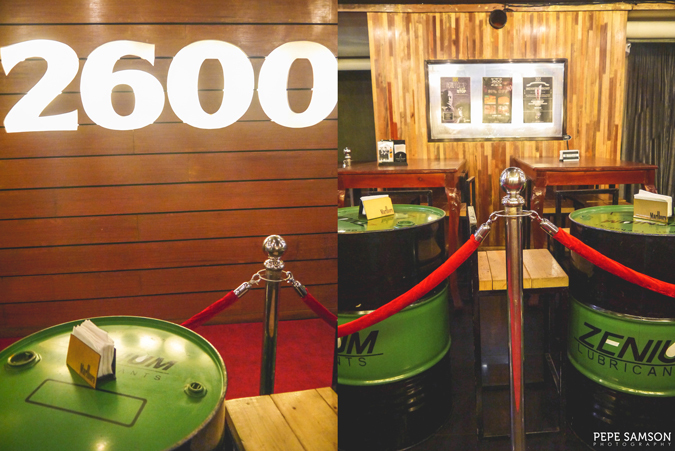 The gastropub scene has finally arrived in Baguio City, and if you’re a fan of places like Draft, The Perfect Pint, The Distillery, and En Route in Manila, you are going to have a blast when you visit 2600 Gastropub in the Philippine’s summer capital. Bars that offer both booze and decent food are hard to come by—even in the busiest parts of the metro—and 2600 lures tourists and locals with its lineup of flavored beers, cocktails, liquors, and bar grub that are meant to be anyone’s perfect nightcap after hours of grueling sightseeing or an exhausting at day work. 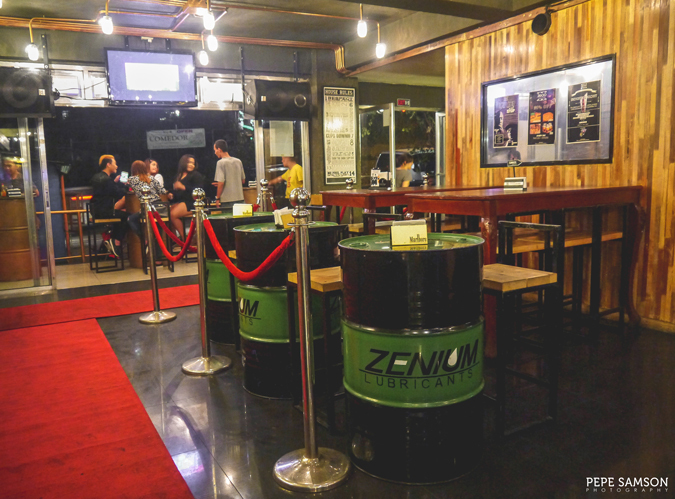 2600 is named after Baguio City’s zip code, and like a number that marks a territory, the gastropub stands out along the busy road of Upper Gen. Luna, enticing guests with its thumping music and swaying lights. 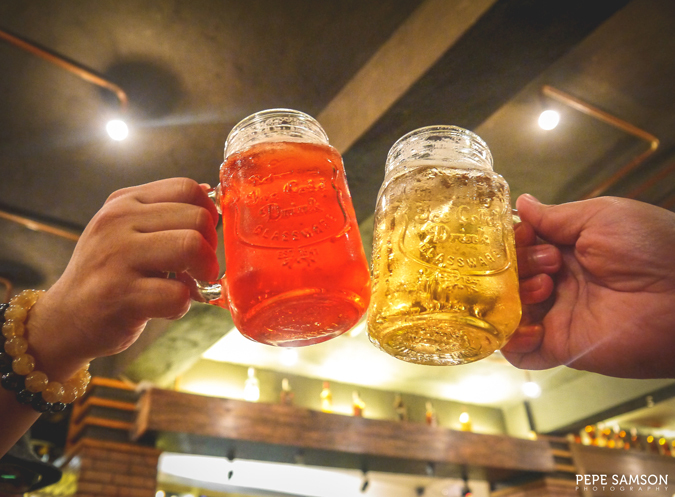 Like any pub of the same kind, it promises a relaxed night of food, drinks, and conversations and not a wild, alcohol-fueled party. 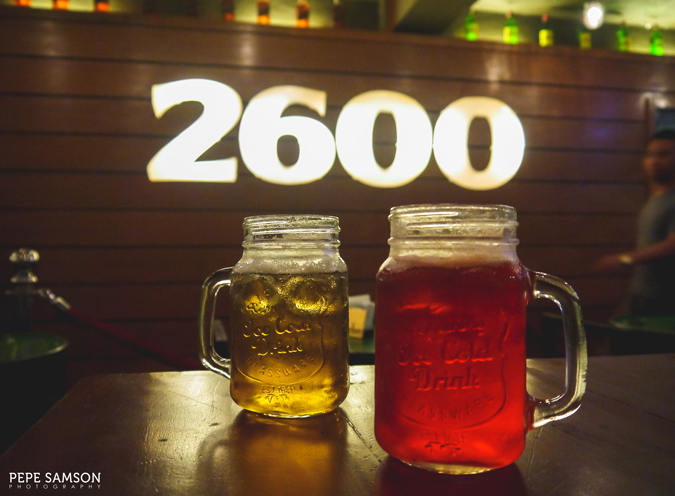 If you’re into tugsh tugsh and a regular at Valkyrie, this might not the place for you; 2600 is suited more for laid-back cravings. 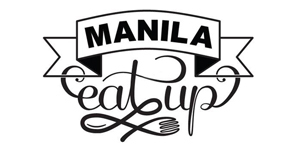 Most people probably come for the booze, but the food here is actually noteworthy. 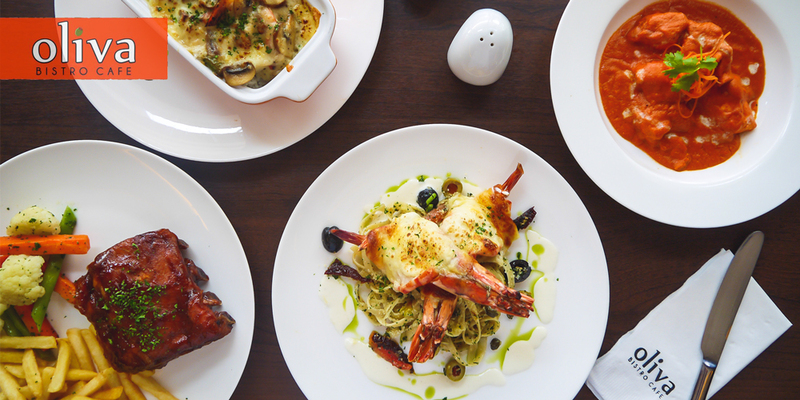 With affordable prices attached to each dish, 2600 Gastropub’s menu features the usual bar fare—wings, pizzas, ribs, nachos, and the like. 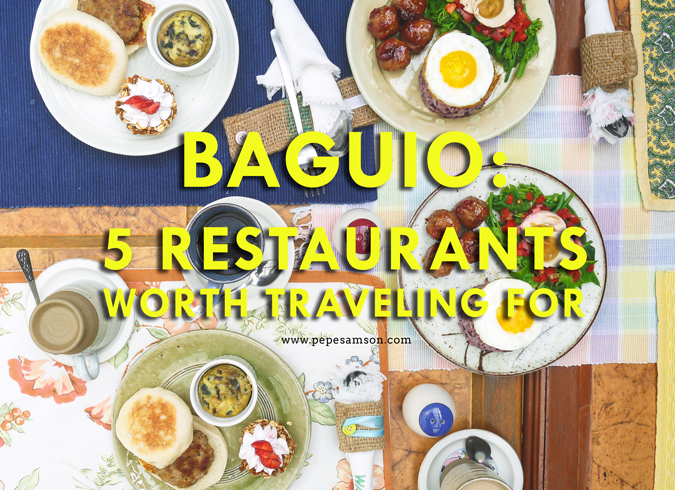 Among the dishes we tried during our visit a few weeks back, there were some which I really, really loved. 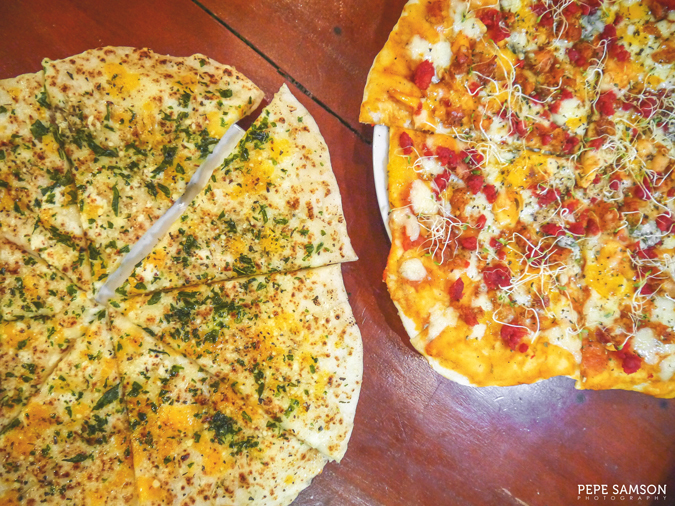 For instance, there’s the 4x4 Pizza (PhP320) which is made up of four kinds of cheeses and four kinds of longganisa. 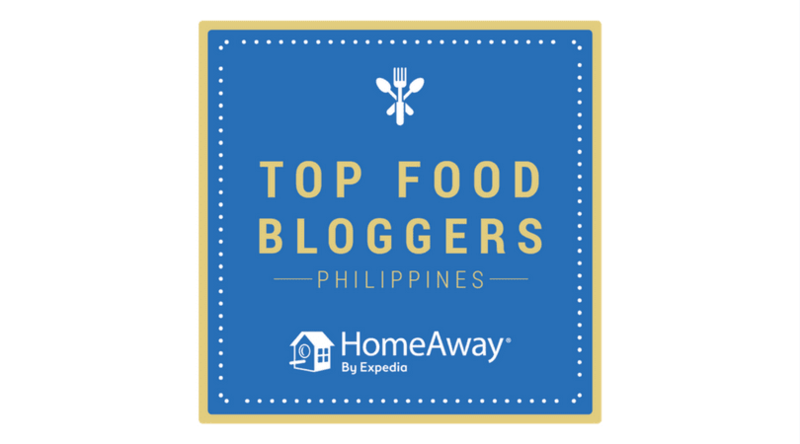 I loved how the different flavors of local sausages—sweetish, garlicky, smoky, salty—blended with the creaminess of the cheeses (cheddar, mozzarella, parmesan, blue cheese). This one is definitely a must-order and a perfect companion for any beer or liquor you will be having! 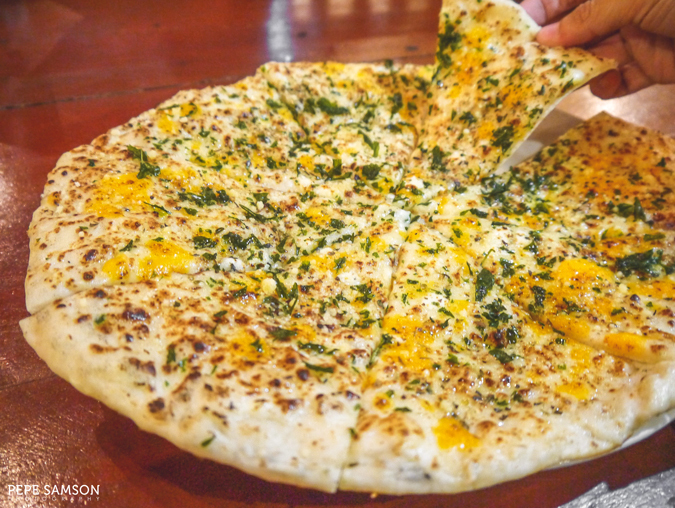 The simpler 4-Cheese Pizza is another good choice, but if you have experienced the boldness of the previous pie, you would find it a bit underwhelming. 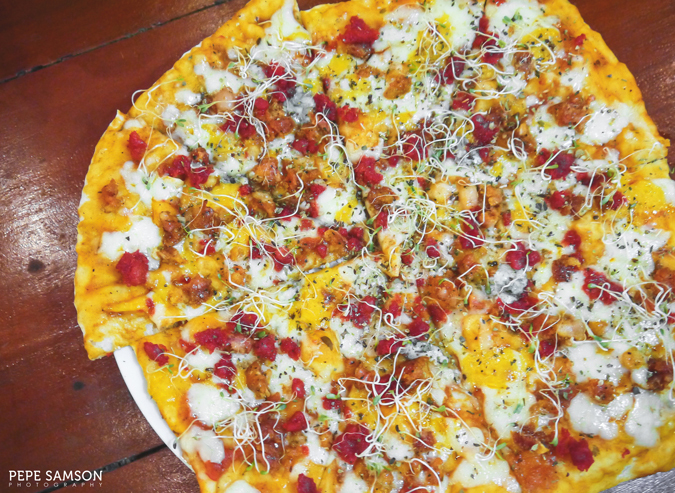 Still, this dish is good with its delightfully thin crust and generous ingredients. 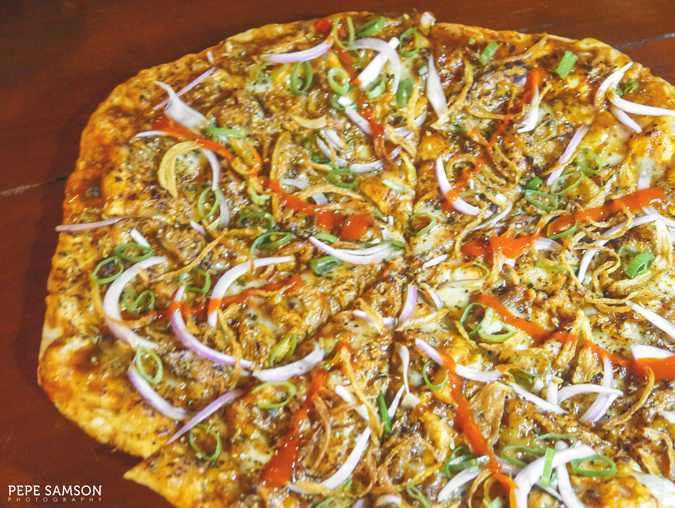 I would recommend the Pulled Pork Pizza more—an intensely-flavored pie loaded with pulled pork, onions, bell peppers, jalapeno, cheese, and hot sauce. 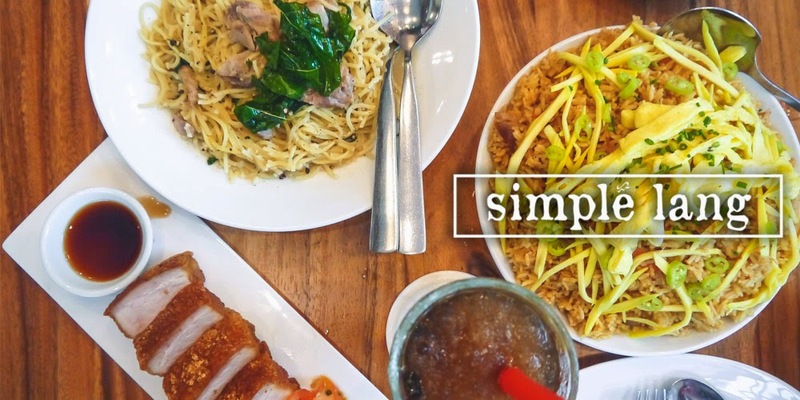 I loved the spiciness and the unflinching flavors of this dish! 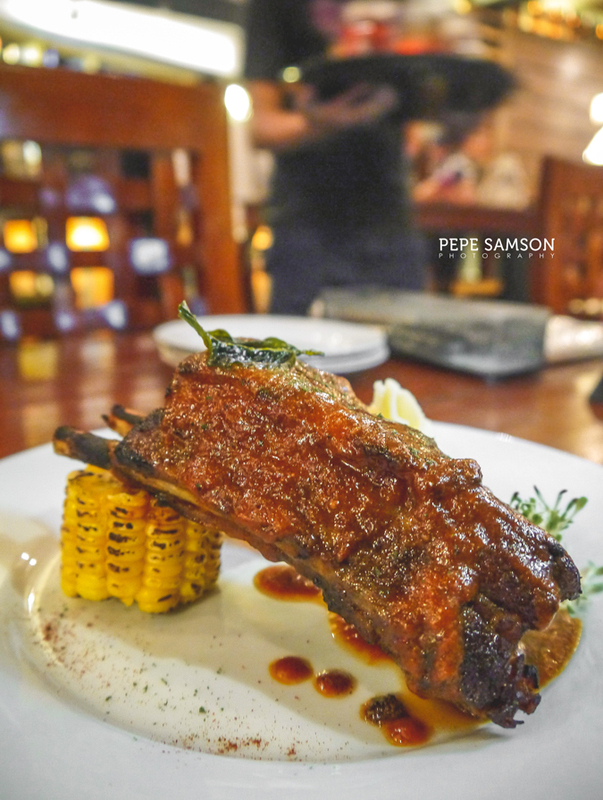 If you’re really hungry, get the Grilled American Ribs (PhP160), a huge slab of pork ribs glazed with thick homemade barbecue sauce, and served with rice, roasted corn, and a choice between mashed potato and steamed rice. It’s a real steal for its size and price! Wing lovers will be happy with 2600’s Buffalo Wings, and mind you, this is not for those with low spice tolerance either. The chicken pieces come coated with a thick, tangy buffalo sauce. 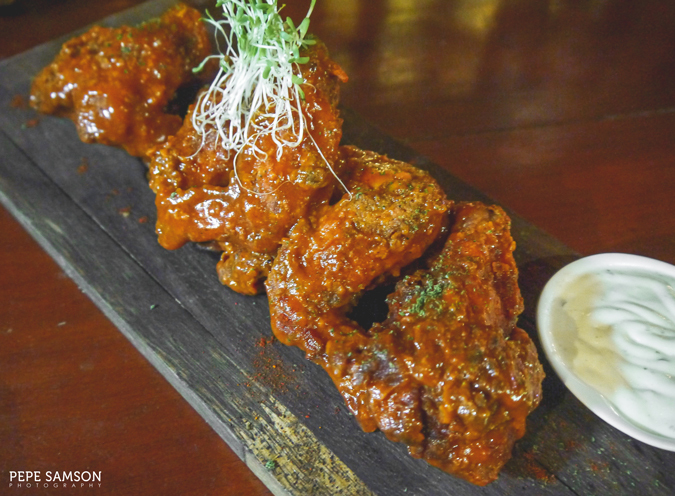 The heat is much-welcomed especially with Baguio’s chilly weather, and paired with the blue cheese dip (and a sip of ice cold beer), the wings seem even more delicious. 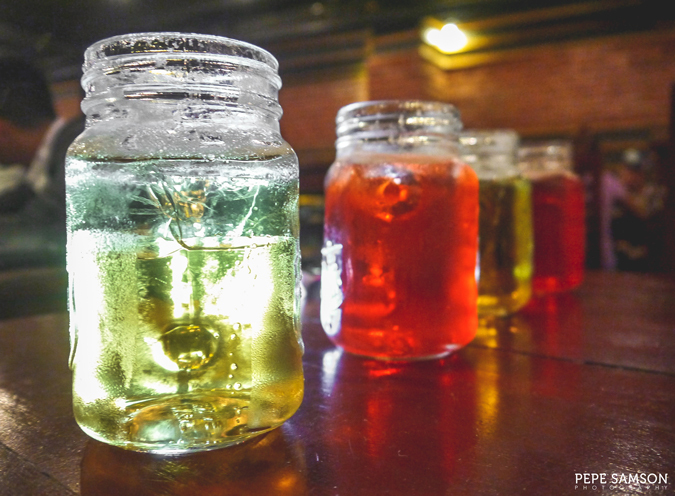 The flavored beers are a little on the sweet side, but if you’re hanging out with the ladies, these drinks might be the best choice. 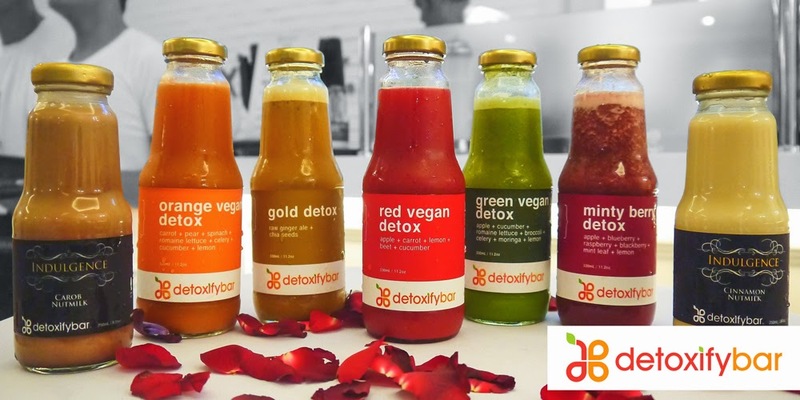 I think first timers and non-drinkers would like them as well. 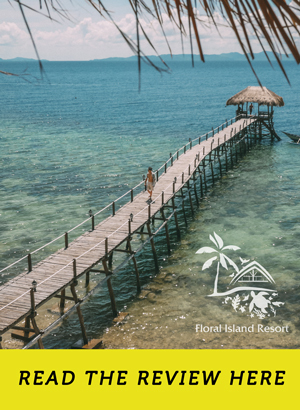 However, I personally wouldn’t recommend it to those who are used to stronger libations, like legit cocktails (no towers please) and craft beers—in this case, order a bottle of your favorite booze instead (mine would be anything whisky or a decent rum). The place looks small from the outside but it actually extends all the way to the back, and inside, guests would find a very spacious pub decked with masculine furnishings—leather booths, heavy tables and chairs that are made of wood, industrial-style ceiling and installations, and drums that double as cocktail tables. 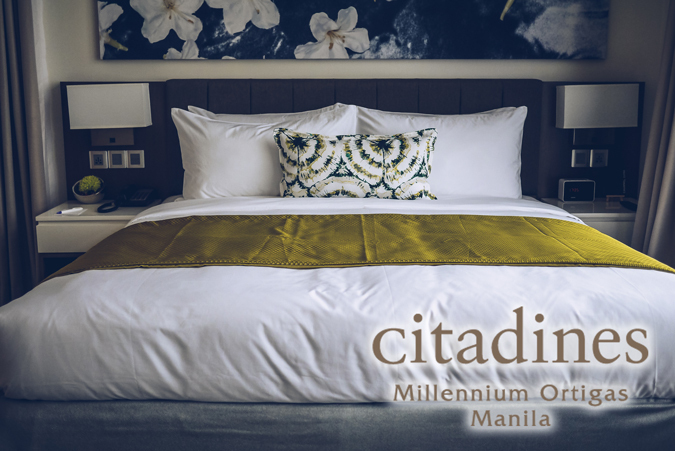 The décor is quite modern and I’ve never seen anything like it in Manila. 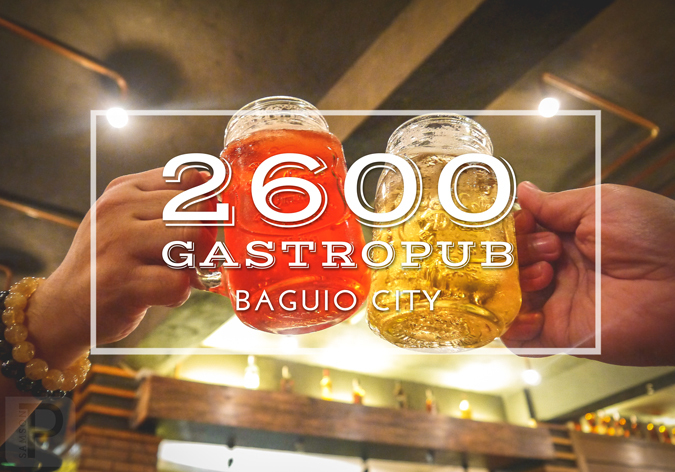 “Baguio and beer” sounds like a perfect combination when you’re in this cold part of the country, and this couldn’t have been truer at 2600 Gastropub. 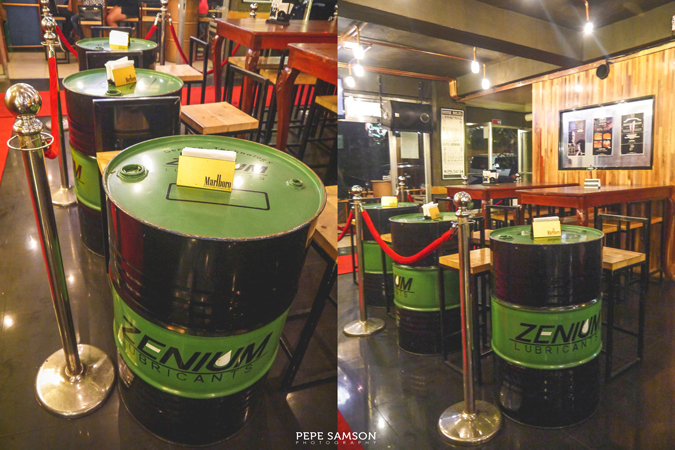 What I like most about this place is that the ambience is reminiscent of Manila’s best hangout spots, but the prices are not. 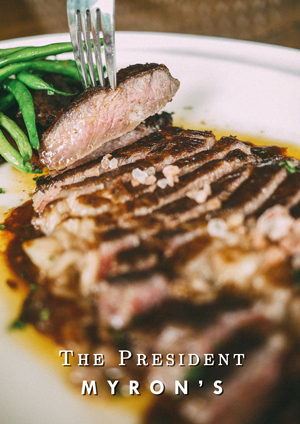 The food is great and the bar list offers something for everyone. 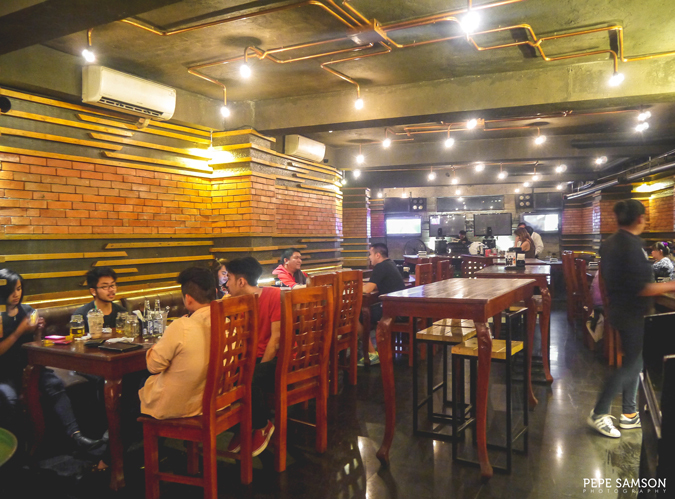 Indeed, the first (and, as of writing, only) gastropub in Baguio needs to be in your EAT-inerary, and when you do visit, make sure you bring a lot of friends because a place like this is worthy of celebrating. 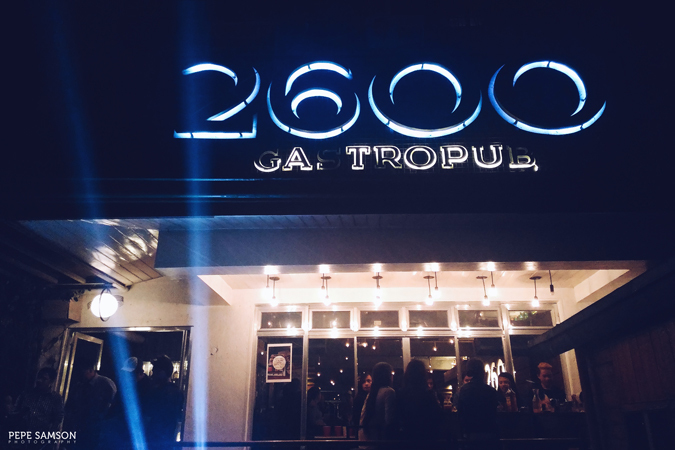 Have you been to 2600 Gastropub? What do you think about it? 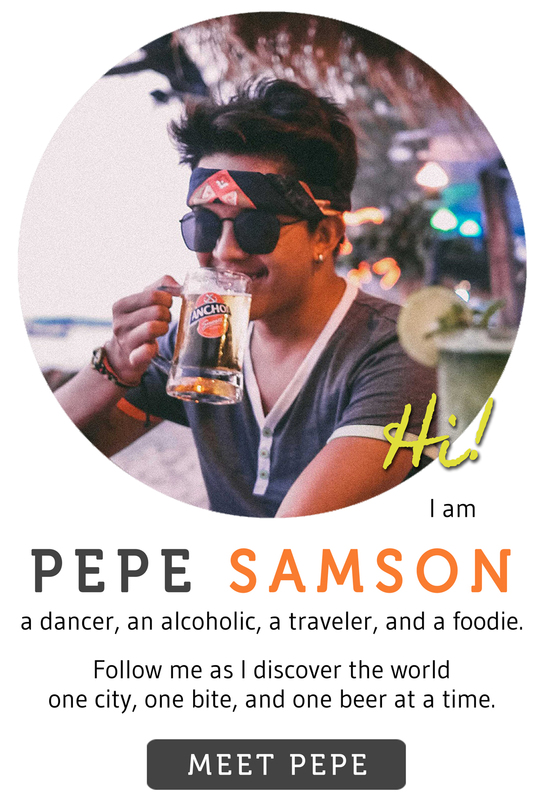 Special thanks to my friends at PinasMuna.com.